The idea of getting paid $18,000 to stay in bed might sound too good to be true, but it’s exactly what Nasa is offering. 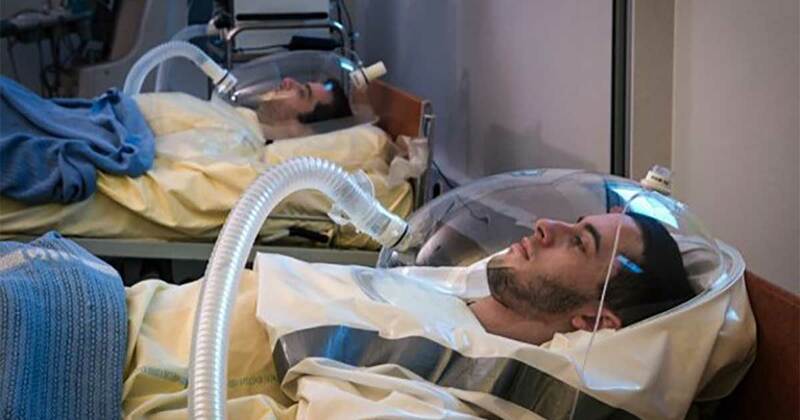 The space agency is currently recruiting participants for its Artificial Gravity Bed Rest Study, which aims to test the effect of weightlessness on the human body. Nasa explained: “The results of the study help scientists develop more effective countermeasures or preventive measures so that astronauts on the space station do not have to spend most of their day doing sports.” If you think this sounds like a dream gig, you may want to reconsider. While $18,000 might sound tempting, the experiment, which lasts a total of 89 days, sounds pretty brutal. During the 60 days of bed rest, participants will be lying exclusively, with their bed inclined at 6° with the head end downwards. This means that all your activities — including showering and even going to the toilet — will take place while lying down. And don’t expect to be munching on delicious snacks during the experiment. Nasa explained: “To provide you with enough fluids and nutrients, your diet is standardised. An in-house team of nutritionists takes care of the diet of the subjects. Participants will also have to spend 30 minutes a day in a ‘human centrifuge’, which generates artificial gravity and distributes fluids back into the body. It’s unclear how this will feel, but it's likely to make you pretty nauseous. Currently, Nasa is looking for healthy female volunteers aged between 24 and 55. If you meet those criteria and the experiment details haven’t put you off, you can apply here. The experiment will start in September 2019 at the German Aerospace Centre in Cologne.